Norovirus particle, computer artwork. 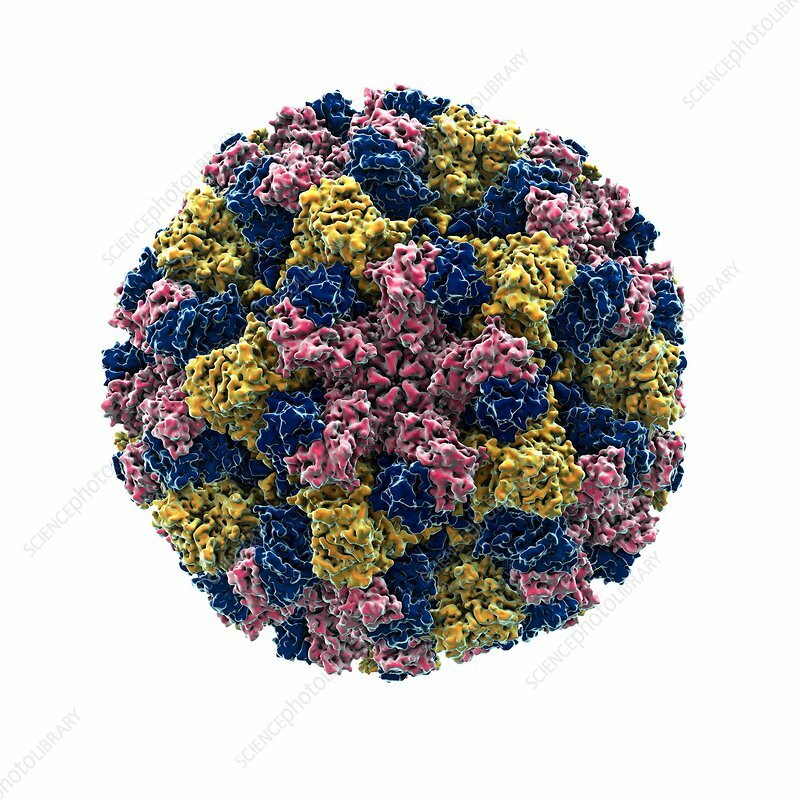 Norovirus particles (virions) consist of an outer protein coat (capsid) encasing RNA (ribonucleic acid), the genetic material of the virus. Norovirus, also known as the winter vomiting bug, is the most common cause of viral gastroenteritis in humans. It causes vomiting, diarrhoea and fever.